Welcome to Ancient Lakes Magnesium! Home > Articles > Ancient Lakes News > Welcome to Ancient Lakes Magnesium! We’re thrilled to be finally launching our website and online store to share our unique magnesium products with Australia and the world. 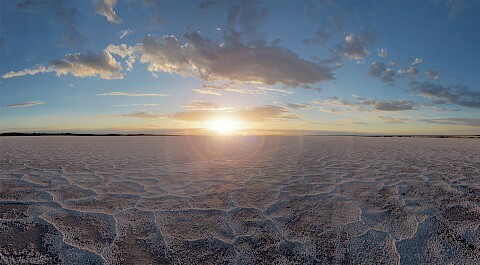 Ancient Lakes Magnesium source our unique magnesium and salt from the pristine Lake Deborah, situated in a Salt Harvest Sanctuary, deep in the Western Australian desert. Our magnesium and salt are sustainably harvested and solar evaporated to reduce our ecological footprint. We have in our store our ionic magnesium liquid drops, magnesium topical spray and our Mineral Balance magnesium enriched salt available now. If you feel that you may be deficient in magnesium (and it’s estimated that around 50% of people are), you can safely increase your intake by taking our magnesium drops in your water or juice; or by using our Mineral Balance salt in your cooking. If you prefer to apply magnesium oil topically, you might like to try our topical spray. The topical application of magnesium has been shown to improve the epidermal barrier, and to soothe irritated or damaged skin. We have lots of exciting new products still in development, including a remineralising toothpaste, moisturiser, hydrating body lotion, deodorant and our unique natural magnesium bath crystals. But we couldn’t wait to get started, and will share our new products with you as they become available. Ancient Lakes Magnesium is family owned and operated and is 100% Western Australian. We hope you like exploring our site!